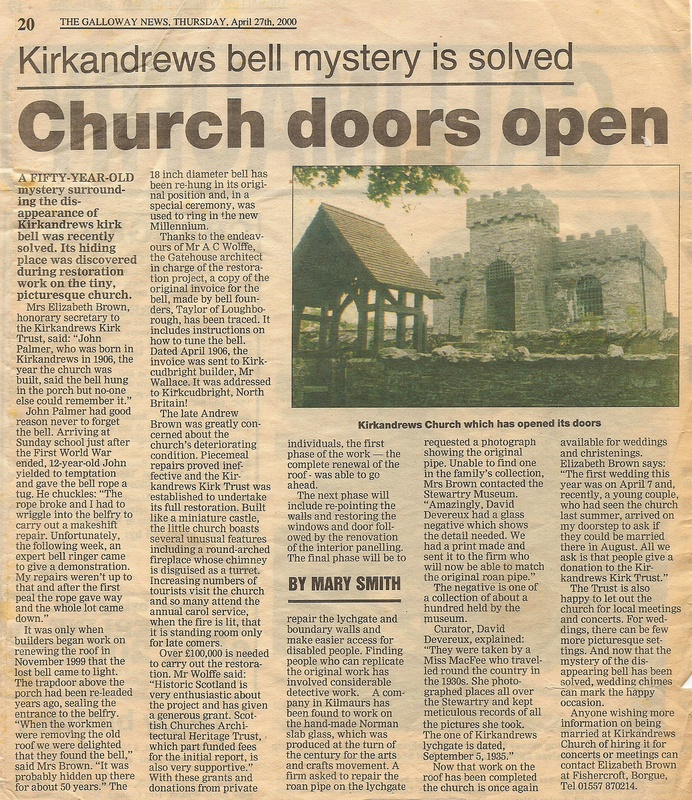 An article by local author Mary Smith about Kirkandrews Kirk, the restoration project and a fund-raising event. Galloway News article from 2005. Click on the image to enlarge or download high-resolution version. 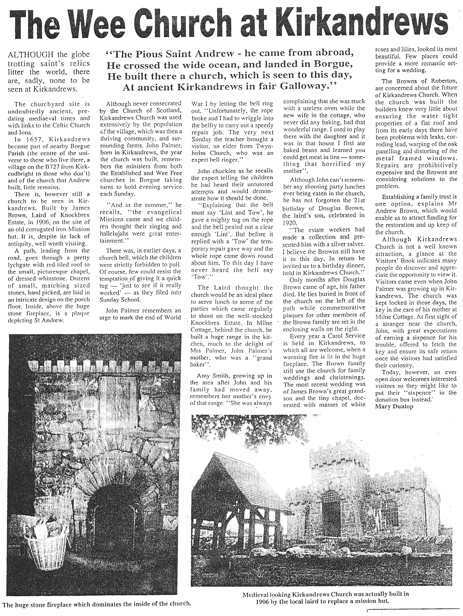 Galloway News article from April 2000. Click on the image to enlarge or download high-resolution version. 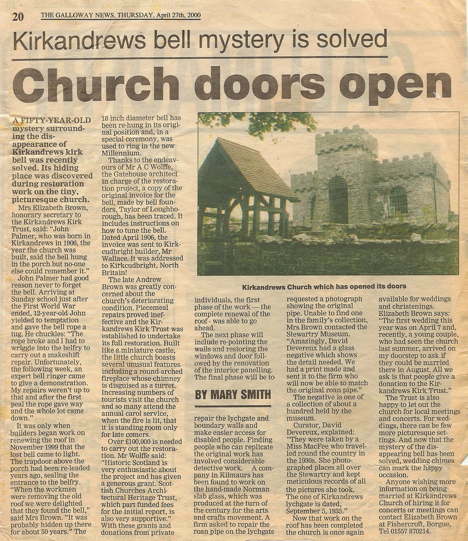 Article from late 1990s with some information about the history of the kirk and the need for restoration. Click on the image to enlarge or download high-resolution version. (number 110) the grave of 2Lt F.G. Elms, killed when RMS Leinster was torpedoed by a German U-boat just outside Dublin Bay in 1918 and washed ashore at Kirkandrews. This was the greatest-ever maritime disaster in the Irish Sea.